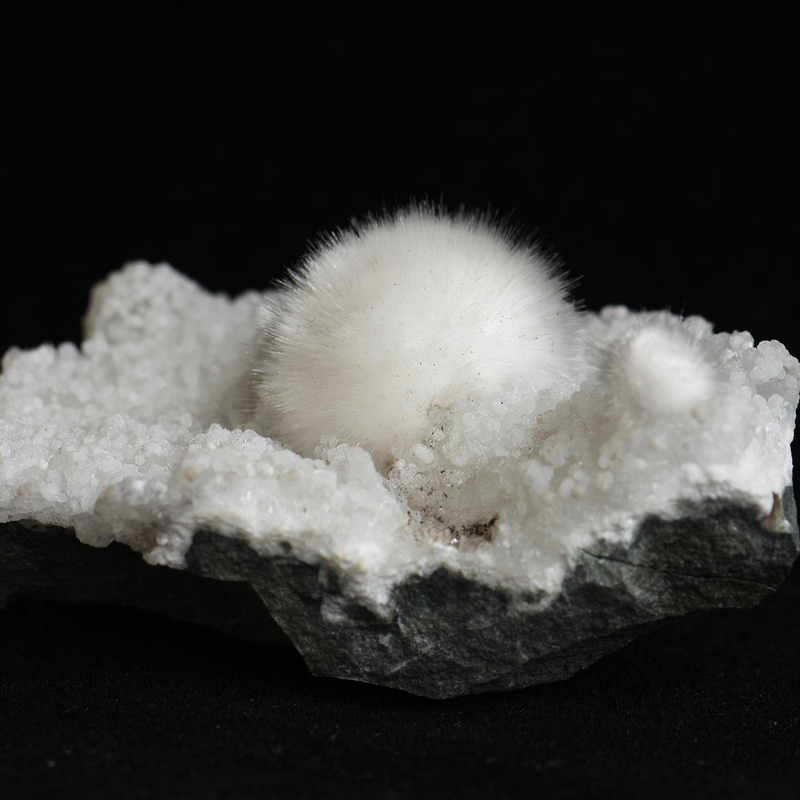 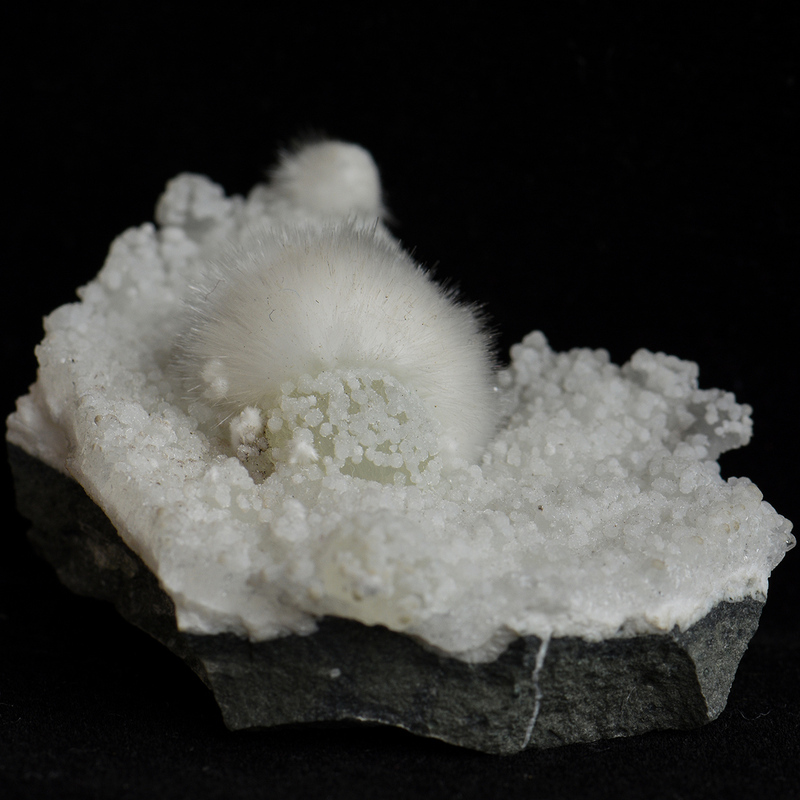 Puffy hairy balls of okenite grown on matrix of prehnite with tiny crystals of gyrolite. 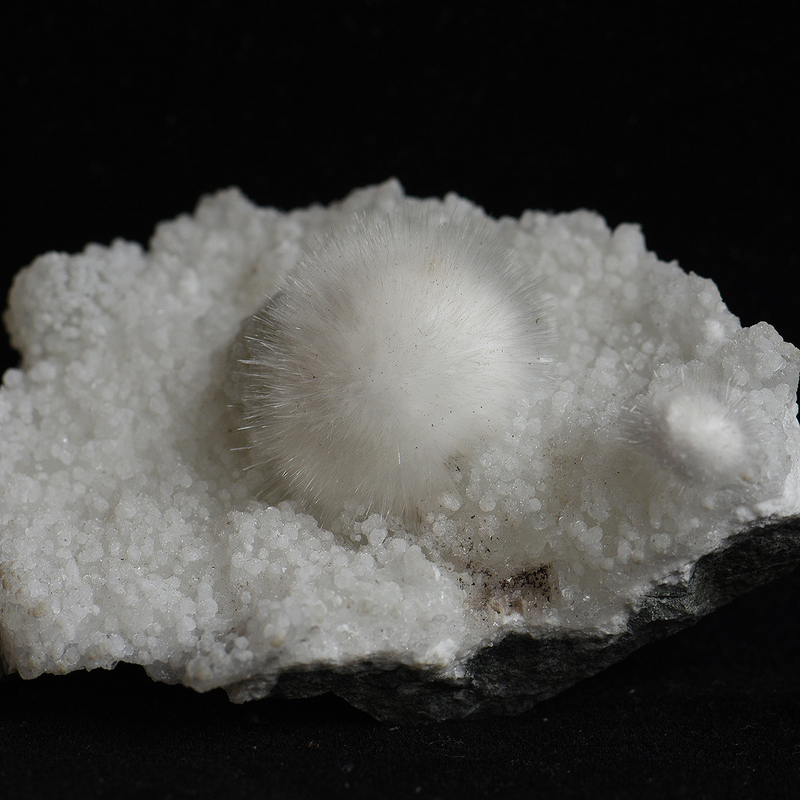 Mines producing best quality okenite in Mumbai are already closed few years back. 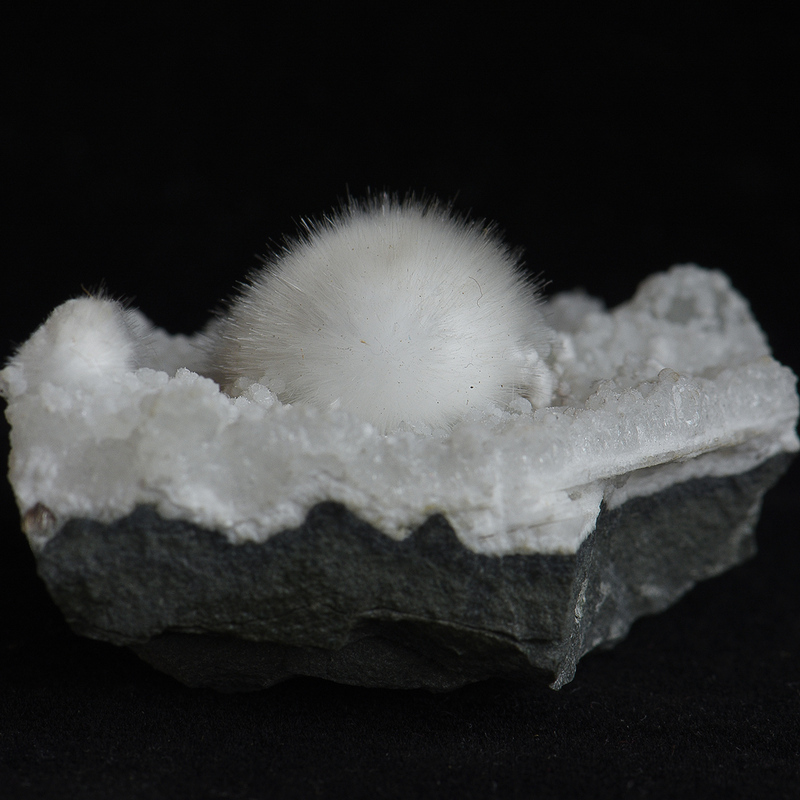 However sometimes specimens are found in nearby area while digging the foundation for new buildings. 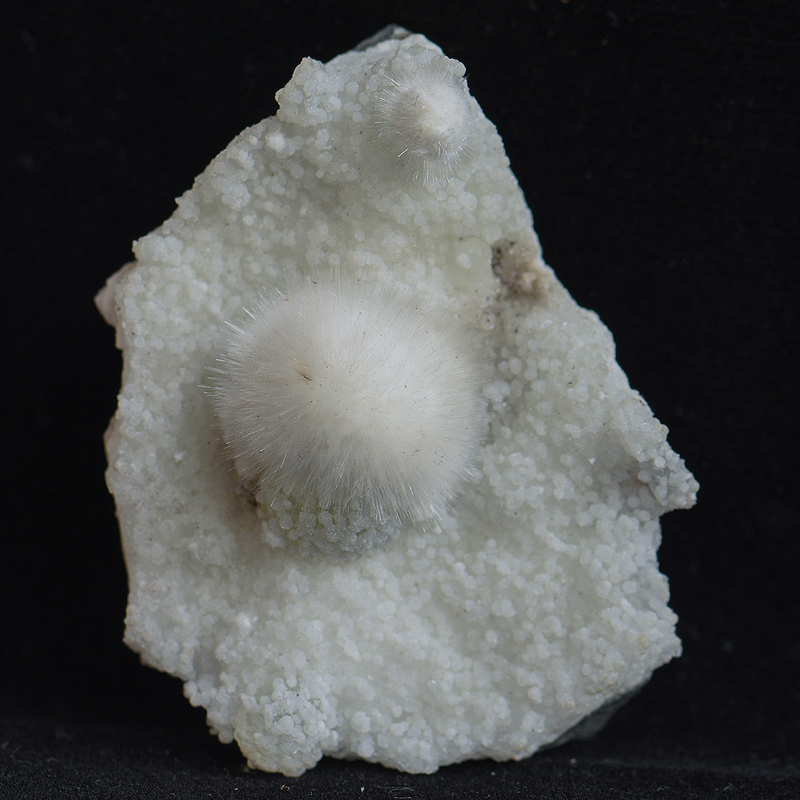 This specimen belong to such a find.